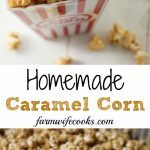 Are you looking for an easy Homemade Caramel Corn recipe? 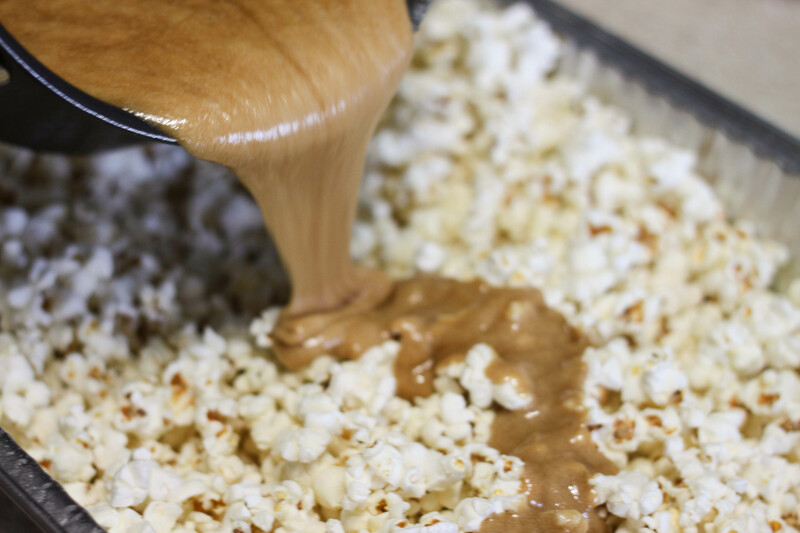 This recipe is so good and makes a great popcorn snack or holiday treat! I got this recipe from my dad (In full disclosure I think he got it from a friend). I grew up in a household where my dad cooked a couple nights a week. He was also in charge of a lot of the “special” things around the holidays like homemade noodles and this caramel corn . I hope my boys carry on the love of food traditions! This recipe is perfect for a snack for the kids and is great for the holidays. It is easy to make. Start by popping your popcorn. I recommend popping it on the stove using a stovetop popcorn popper or a hot air popper. 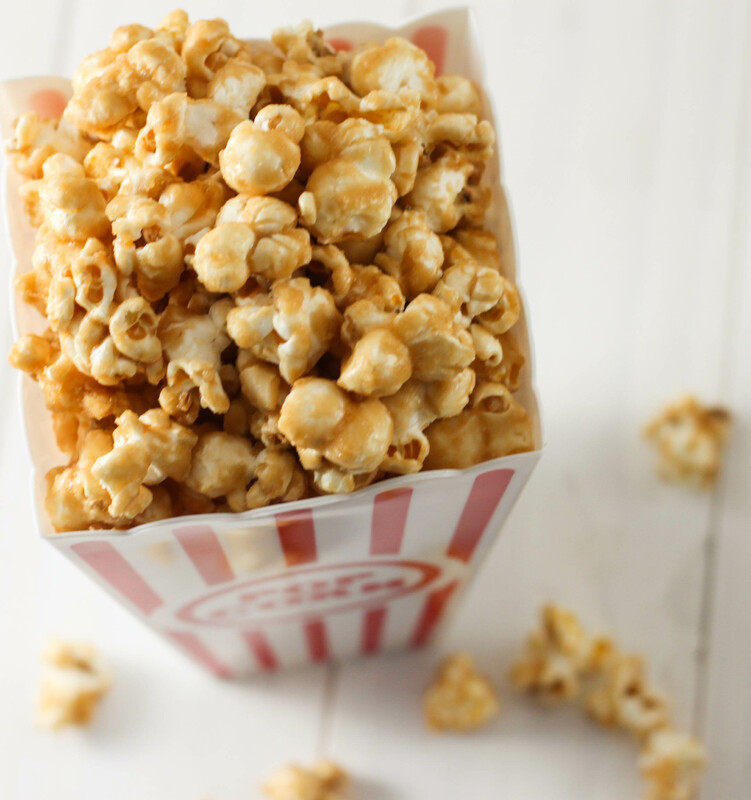 The microwavable bags of popcorn would work in a pinch but the butter flavor will make the caramel corn have a different flavor. 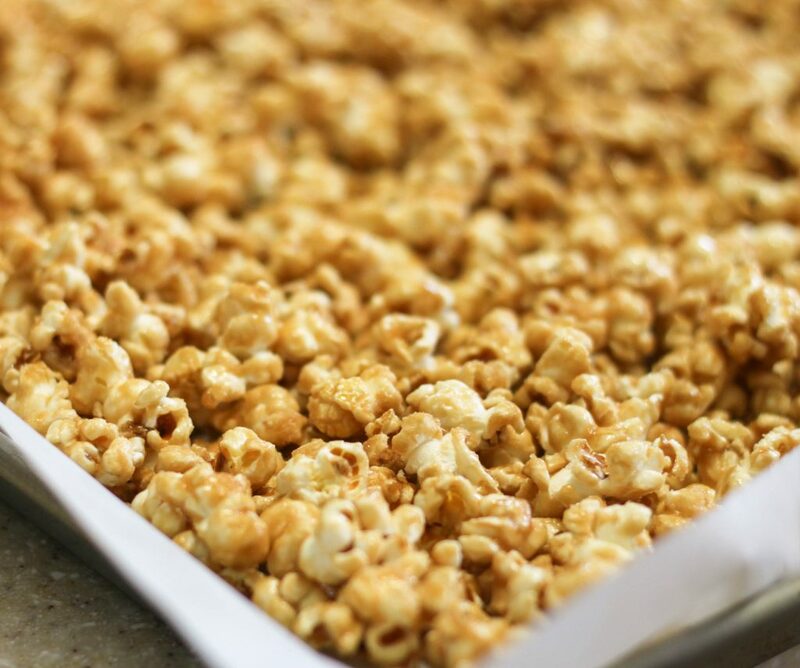 The key to this recipe is to bake the caramel corn. This allows the release of the last bit of moisture and removes the stickiness. You should be able to tell the difference every time you stir it. It will get less clumpy as it is cooked. Coat bottom and sides of foil roasting pan with non-stick spray and put popped corn in the pan, set aside. In a 2 quart sauce pan slowly melt butter over medium high heat. 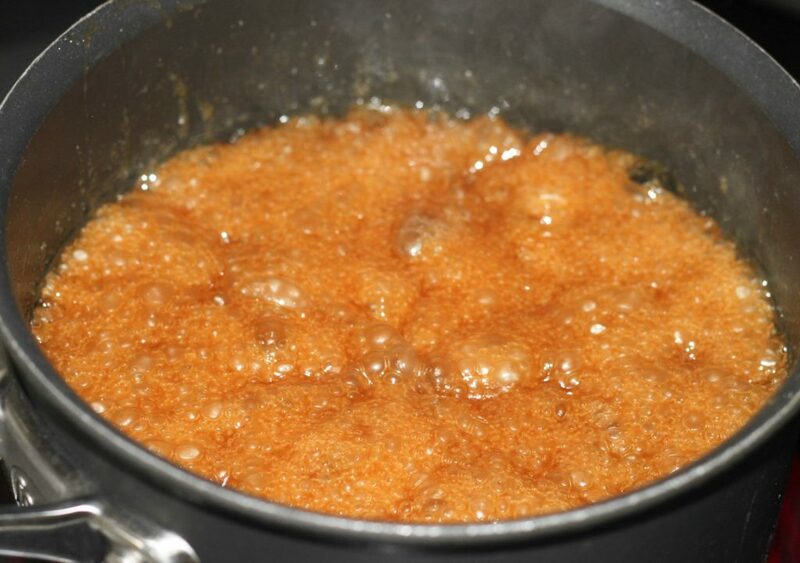 Stir in brown sugar, corn syrup and salt. Bring to a boil stirring constantly. When a rolling boil starts, boil for 5 minutes without stirring. Remove from heat and add baking soda and vanilla. Slowly pour foamy mixture over popped corn, mixing well. Remove from pan onto wax paper to spread out and cool. Store in tightly sealed container. Referral links were used in this post. Thanks for letting me know! So glad you liked it!